But this doesn’t mean teetotalers should start drinking again. The study’s author said their research aims to give a clearer message about drinking in moderation. It’s no secret that too much alcohol is bad for us. Some of the health risks of drinking include various cancers, brain damage, and liver disease, and some scientific evidence has shown that having just one drink over the daily recommended limit can shorten your life by 30 minutes. But this hasn’t stopped scientists looking for the possible health benefits of alcohol, possibly because drinking is such a massive part of so many cultures. 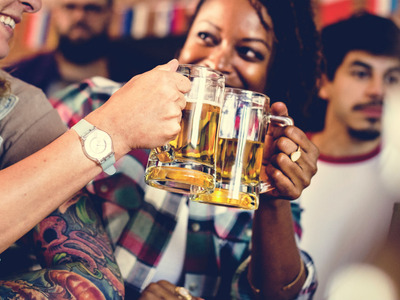 In the past, research has appeared to show some level of alcohol was good for the heart,but this has since been revised, and the positive effects of moderate drinking is probably less strong than previously thought. The questions covered information about alcohol intake at various stages of their lives – something that has been forgotten in previous studies, lumping previous drinkers, now teetotalers, in with the “non-drinkers,” even in they were alcohol dependent in the past. This can lead to inaccurate data, as people who were once heavy drinkers will probably suffer the negative health impacts of alcohol, even if they are now completely sober. The study also tried to account for the fact there are other risk factors in people’s lives, such as smoking and their diet, so they could determine as accurately as possible whether any differences in mortality were due to varying levels of alcohol intake specifically. 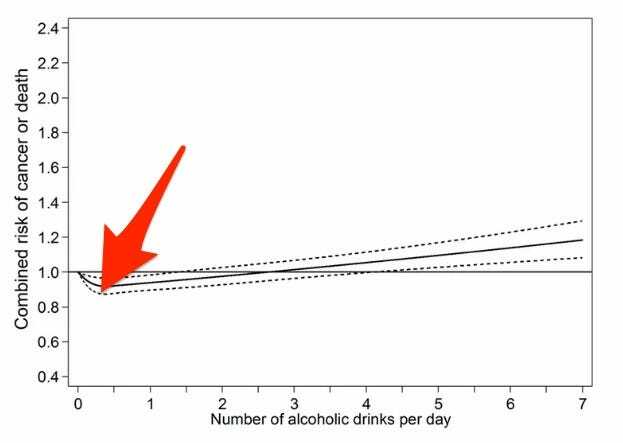 The lowest risk was people drinking less than seven alcoholic drinks per week, while heavy drinkers – more than three drinks a day – had a 20% higher risk of getting cancer or dying early than light drinkers. He added that it’s likely that moderate drinkers are wealthier overall, and so have better access to healthcare, regular exercise, and healthy food. Until there is more evidence, Kunzmann also advised against teetotalers starting drinking again for the sake of their health.